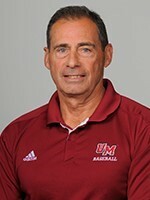 Coach Stone just completed his 29th season as the head baseball coach at the University of Massachusetts, after returning to his alma mater in 1988 from the University of Vermont. In his 29 seasons, the Minutemen have compiled a 664-636-3 (.511) record and Coach Stone has won over 700 games as head coach. While at UMass, Stone has led the Minutemen to eight Atlantic 10 regular season titles, two Atlantic 10 Tournament crowns and two NCAA Tournament appearances. Coach Stone is well-respected not only in New England, but nationally, as an excellent teacher of the game. The MBCA is pleased that he will be speaking about Catching Mechanics and Drills as he is sure to enlighten and help coaches from various backgrounds and experiences.